It’s almost here! 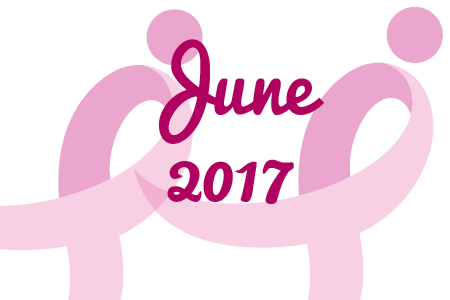 Registration for the 2017 Susan G. Komen Dallas Race for the Cure® opens on June 27th. We can’t wait for you to join us for the celebration of the 35th Anniversary of the Race for the Cure series! The very first Race for the Cure was right here in Dallas in 1983 with 800 women. An event that started with a few hundred, the Race has exploded into a tradition enjoyed by thousands here in Dallas and around the globe. Don’t miss out on our special 35th Anniversary registration fee of $35 thru Friday, September 1st. Mark your calendars for June 27th and be sure to take advantage of this low rate! 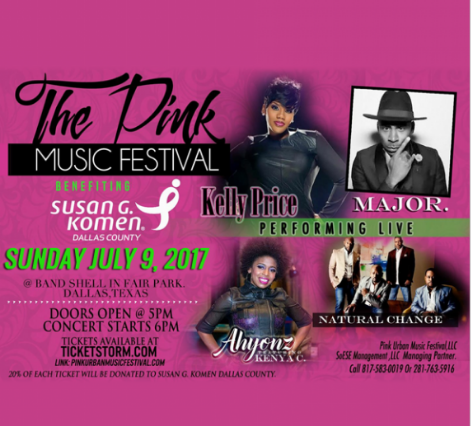 Have you been looking for a way to fundraise for Komen Dallas County? Do you already have a long standing social event each year, or have a great idea for a new one? Rally for the Cure may be exactly what you’ve been looking for! further our mission to end breast cancer forever. On May 23rd Susan G. Komen®, the Milburn Foundation and the Inflammatory Breast Cancer Research Foundation announced that they raised nearly $550,000 to fund research for inflammatory breast cancer* (IBC) as well as other critical breast cancer research and community health programs. Throughout the month of March, Milburn and the Inflammatory Breast Cancer Research Foundation teamed up to match all donations made to Komen up to a predetermined goal – a campaign which ultimately raised more than half a million dollars, and exceeded their $50,000 goal ten-fold. *Inflammatory breast cancer (IBC) is a rare, but aggressive form of locally advanced breast cancer. It’s called inflammatory breast cancer because its main symptoms are swelling and redness (the breast often looks inflamed). Recently, the U.S. House of Representatives passed the American Health Care Act (AHCA), after much contentious debate and dialogue. The final version of the bill, which incorporates the controversial MacArthur Amendment, cuts Medicaid funding by $880 billion, alters private insurance policies, gives states much broader discretion over policies in each state, including discretion to define essential health benefits (EHBs), and allows insurers to charge higher premiums for individuals with pre-existing conditions. The AHCA, as modified by the MacArthur Amendment creates significant economic burdens and uncertainty for people who are already suffering enough from a breast cancer diagnosis. See our complete and official statement here. 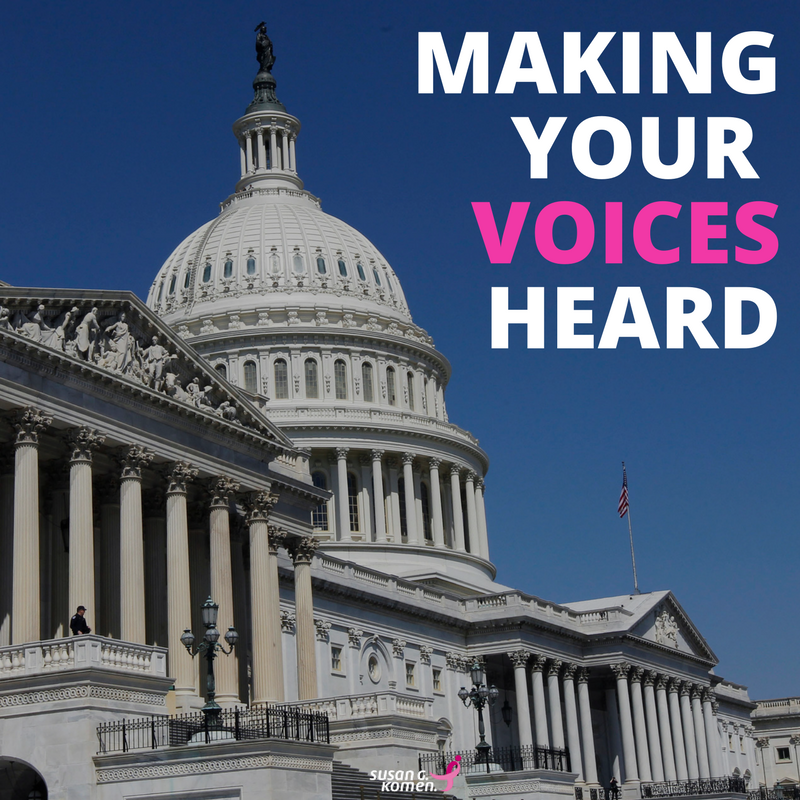 Advocacy for affordable, quality breast cancer care is a core component of Komen’s mission. Every voice counts. By calling or writing to your local representative you can help us advocate against measures, like the AHCA, that will negatively impact the women and men we serve.